How do you escape a hunter of pure evil? Cassy Mae’s mother raised her to hate magic. Her fears were so strong, she almost refused to go live with her juju-practicing grandmother when her mother died. But, she had nowhere else to go. To her surprise, even though she was bullied in school because she limps, Cassy Mae found peace in the hills of Docket’s Diggings. Then, the Markhams moved to town, spreading a strange malaise wherever they go. The teen soon becomes the target of Jamilla Markham’s attention. 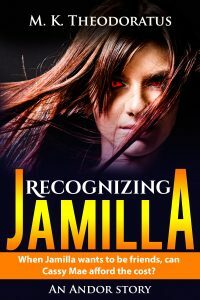 Can Cassy Mae escape the danger hiding beneath Jamilla’s seeming friendship? If you enjoy Cassandra Clare’s The Mortal Instruments Series or anything by Danielle Page, you will be captivated by M. K. Theodoratus’s World of Andor stories. This book is free from 04/01/2019 until 04/14/2019. A Northern California gal, M. K. Theodoratus has been intrigued by fantasy since she discovered comic books and the land of Oz. Some of her early favorite authors as a teen were A. Merritt, Andre Norton, Catherine L. Moore, and Fritz Lieber. She has traveled through many fantasy worlds since then. Now she enjoys reading Lee Child, Patricia Briggs, Sharyn McCrumb, Neil Gaiman, and Carol O'Connell among others. 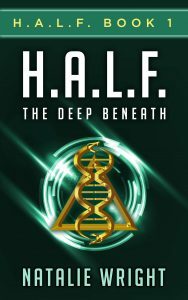 When she's not disappearing into other writer's worlds, she's creating her own alternative worlds — that of Andor where demons prey and that of the Far Isle Half-Elven where she explores the social and political implications of genetic drift on a hybrid elf/human people. Magic and mayhem are her favorite topics. She now lives in Colorado with her old man and two lap cats. Don’t go into the graveyard. Don’t play with ouija boards. And never, ever scream. Most sixteen-year olds aren’t worried about the fate of their immortal souls. May Krieg should be.Typically, honors student May’s biggest problems have revolved around her super-hot arch-rival, Jack. 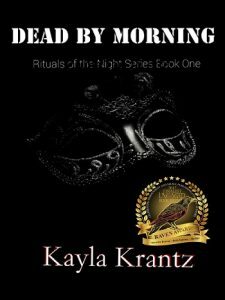 But when a school project takes them ghost-hunting in a local cemetery, she discovers that an ominous force roams in the darkness around her. And it follows her home. It claws its way into her life, burning messages into her wall and imprinting them onto her body. Even worse, she can’t tell if it’s trying to possess her… or protect her. May’s thoughts soon become actions, causing the target of her anger severe physical pain and giving her a rush the likes of which she has never experienced. She quickly realizes that she needs to find a way to reign in this power before she kills someone. May hates the pleasure it gives her, hates herself for hurting others, but she can’t stop. As her entire world shatters around her, she is forced to ask what her soul is worth — and who would she risk losing her soul to save? Reduced from $4.99 to .99 from Aug 1- Oct 1, 2017! This book is free from 12/24/2016 until . Sarra Cannon writes contemporary and paranormal fiction with both teen and college age characters. Her novels often stem from her own experiences growing up in the small town of Hawkinsville, Georgia, where she learned that being popular always comes at a price and relationships are rarely as simple as they seem. Her best selling Young Adult paranormal series, Peachville High Demons, has sold over 175,000 copies and been featured on Amazon's Top 100 eBooks of 2012 for Children & Teens. A spin-off series will begin in early 2015 with Emerald Darkness. She is a devoted (obsessed) fan of Hello Kitty and has an extensive collection that decorates her desk as she writes. She currently lives in South Carolina with her amazingly supportive husband and her adorable son. A forbidden birth. A remarkable young woman. A marauding alien society. The battle begins. 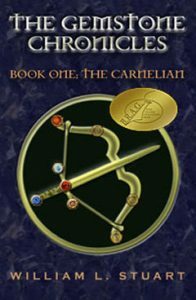 A brutal alien society invades Korin and Arranon, intent on destroying the two worlds that make up Cadet Erynn Yager’s home. 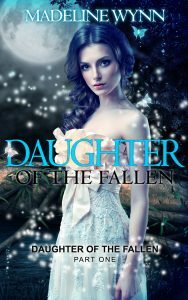 Forced to expose her strange abilities and reveal her forbidden birth, a guarded web of secrets unravels. Stranded on an unfamiliar planet of eternal winter and predatory wildlife, the mysterious living consciousness of Arranon intervenes, leading Erynn on a mystical journey. Aware of Erynn’s potential, the alien enemy pursues her. 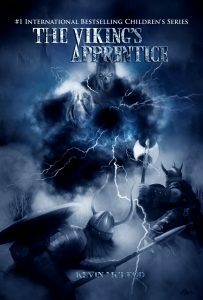 She struggles to gain control of her growing powers while in a constant race to elude the invaders, and join the forces preparing to fight a mounting occupation. Erynn’s secret may be her worlds’ only hope, but at the cost of her life. Swept up in a chain reaction of events, Erynn’s dedication extends far beyond service and duty. She learns the true meaning of sacrifice. Along with courage and hope, Erynn finds something unexpected on her journey of awareness and growth. This book is bargain priced from 10/11/2016 until 11/01/2017. 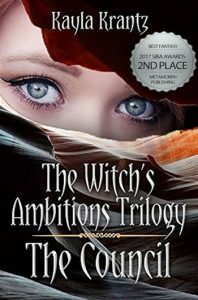 Young Joshua Hildebrand tries to recover his memory after a serious illness, only to find himself in the middle of a conspiracy of small town witches. A series of deaths being him closer to the truth about his own dark gifts. This book is bargain priced from 09/19/2016 until .